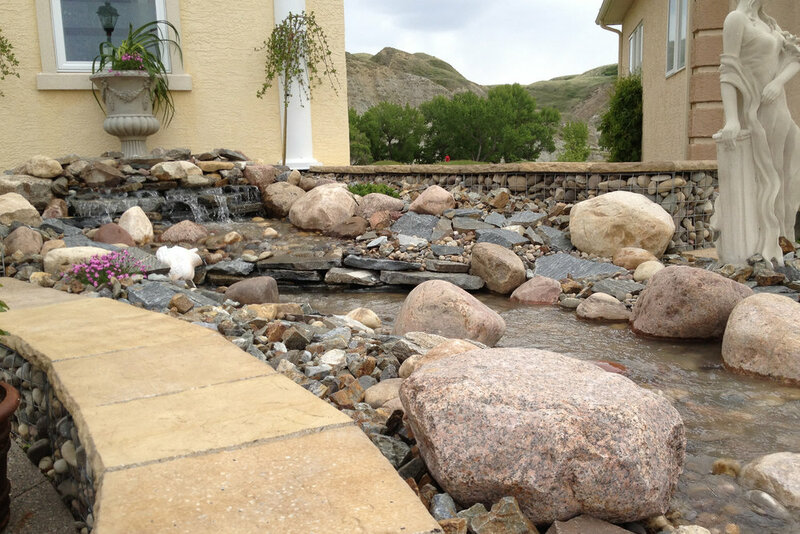 We custom design and install amazing landscapes across southern Alberta. 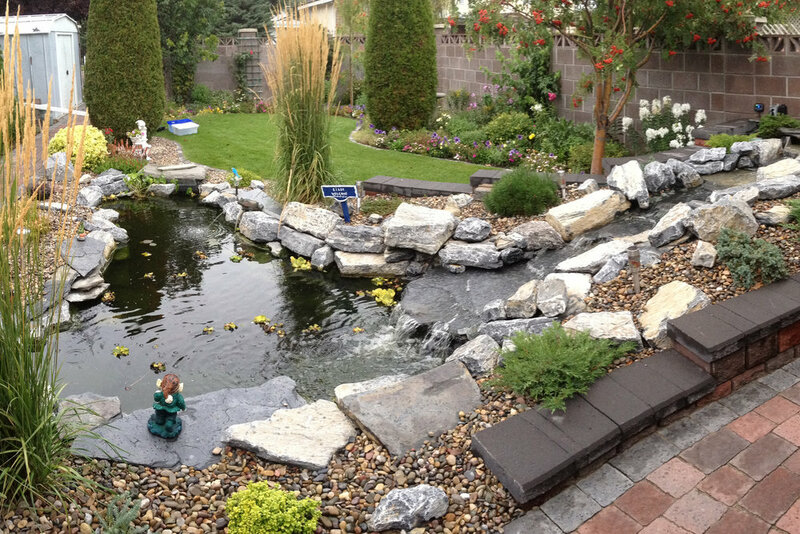 Paving stone, retaining walls, ponds, rock, pergolas, gabions — we can help you unlock the potential of your yard. What a view! 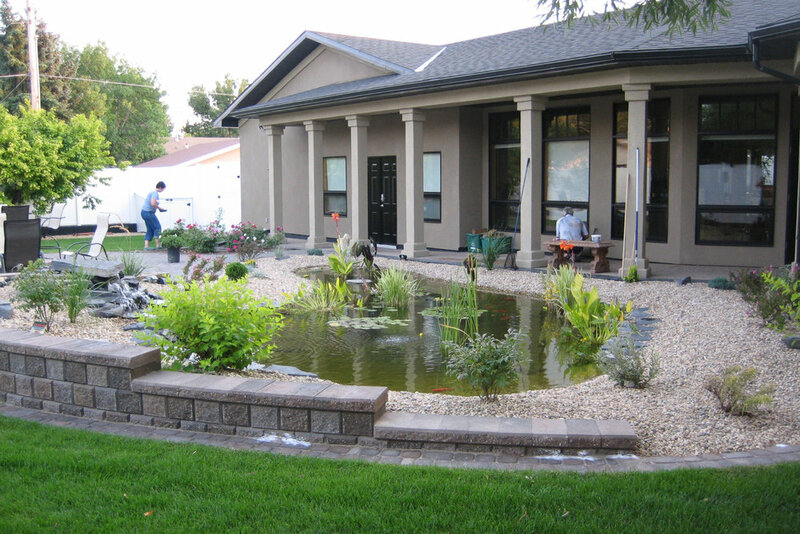 A professionally installed landscape put this property over the top. 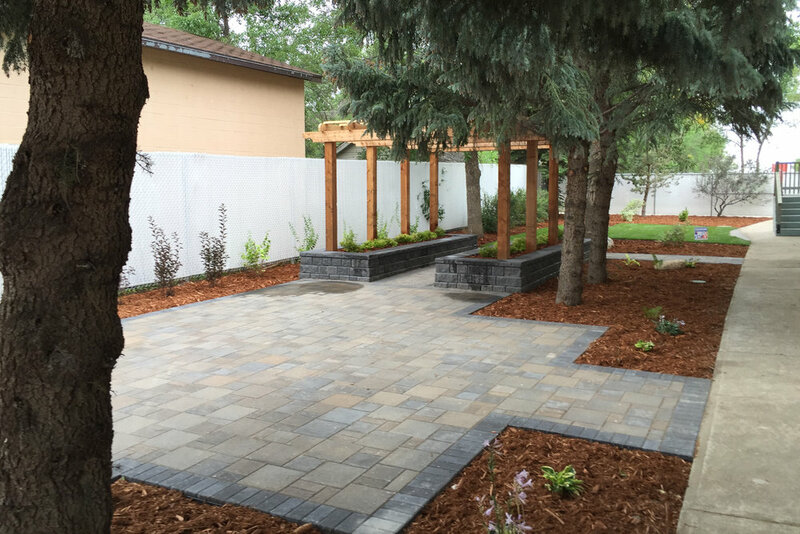 Hilgersom Paving Stone & Landscaping Inc. has been serving Lethbridge and southern Alberta with creative, European-inspired landscapes for over 30 years! 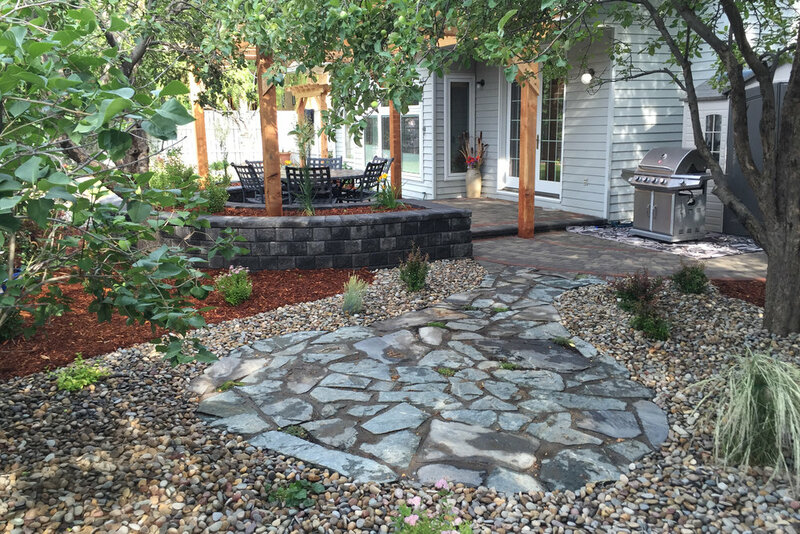 A graduate of the Ornamental Horticulture program at Olds College, Jerry Hilgersom continues to build upon the solid foundation that Gerry Sr. originally instilled in his landscaping company: the value of quality products and craftsmanship above everything else. 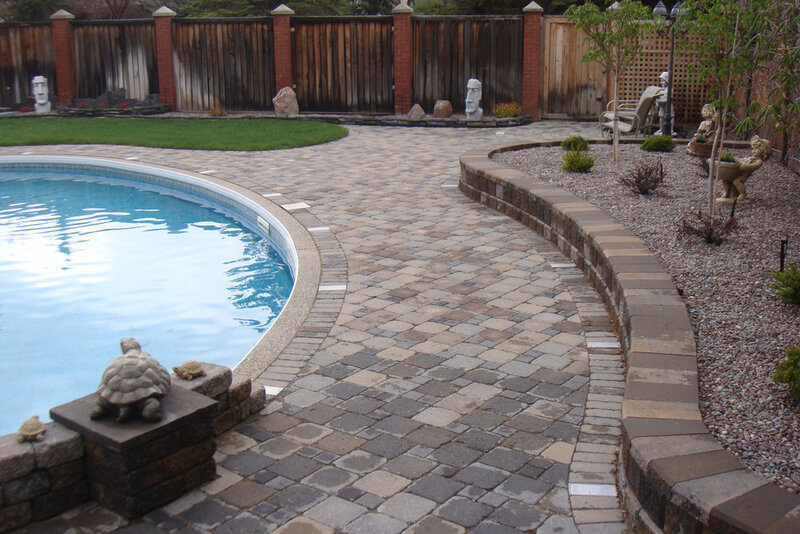 Our specialty is hardscape construction. 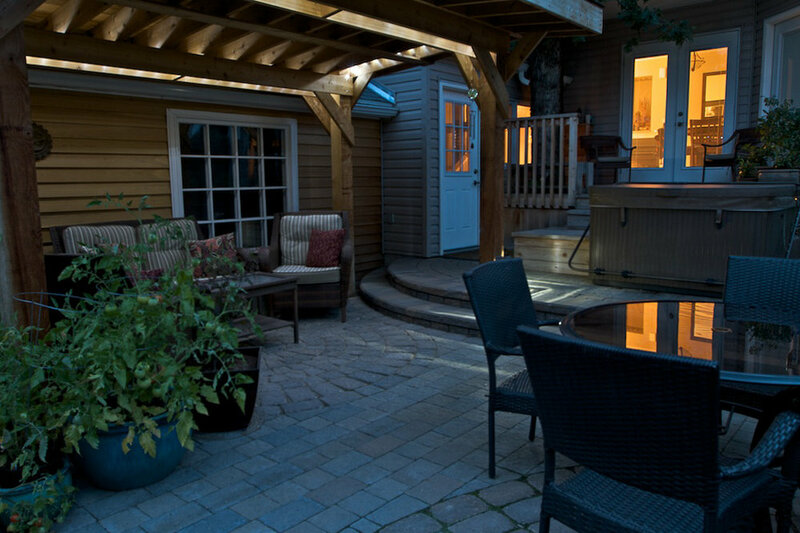 We use materials such as paving stone, retaining wall blocks, and natural stone to create stunning landscapes that are as much about being functional as they are beautiful, all while being easy to maintain. 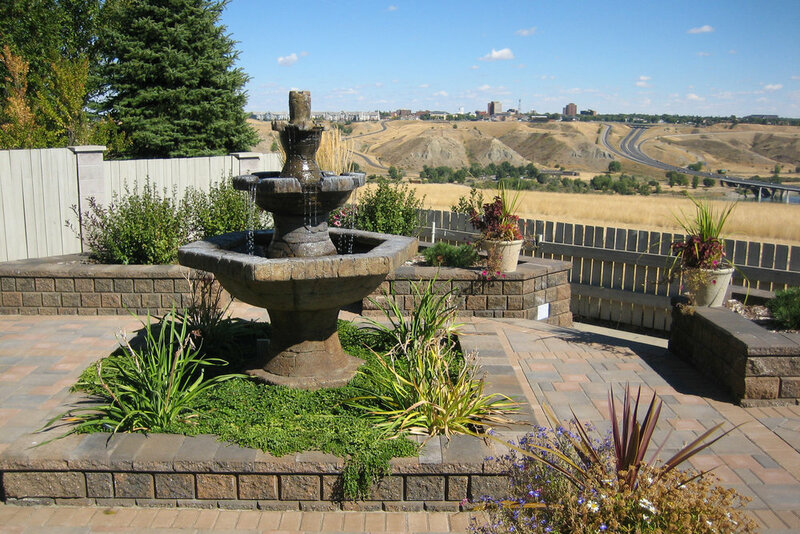 With our vast experience in the Lethbridge hardscape industry, you can be assured that you will receive the highest calibre finished products when it comes to constructing features such as patios, courtyards, terraced gardens, driveways, and much more. Hilgersom’s landscape expertise doesn’t stop at blocks and rocks, though. 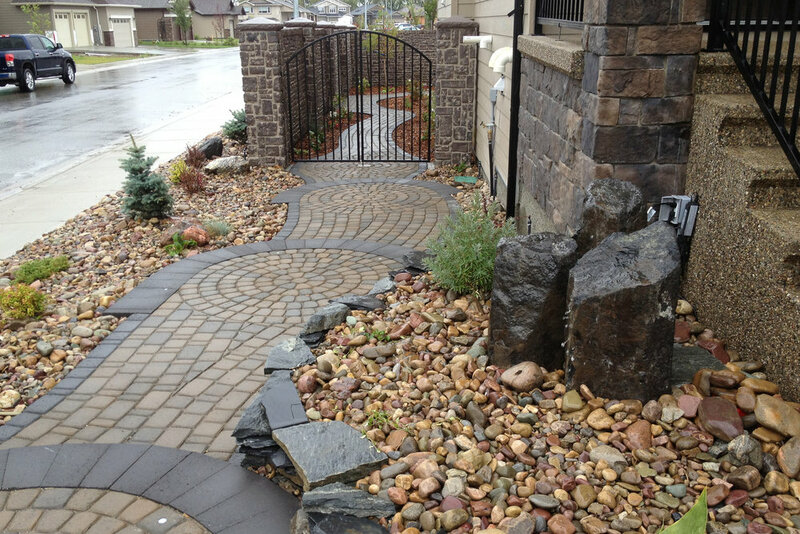 Since 1988, we have been constructing water-wise xeriscapes and rock gardens to suit our harsh southern Alberta climate. We use our creative eye and knowledge of suitable planting material for our area to create lasting landscapes you can grow into. 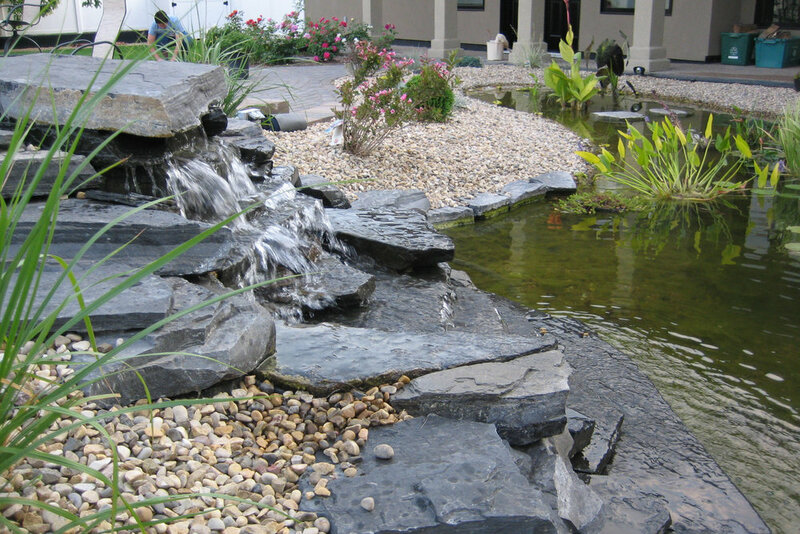 If you would like to add the sound of water to your landscape, feel confident that our team will recommend and construct a water feature to match your lifestyle and budget. Hilgersom Paving Stone & Landscaping is also very skilled when it comes to fencing and other types of woodworking for the landscape. 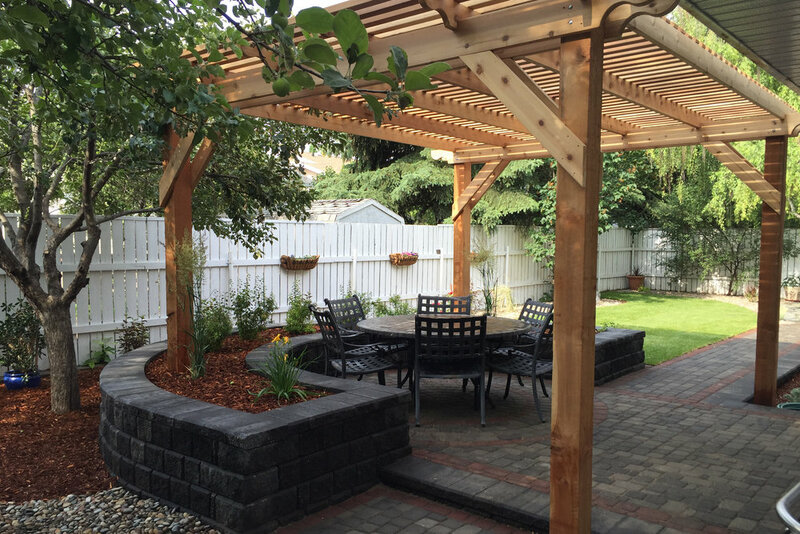 Most of our wood creations are made with the finest quality red and white cedar and include custom pergolas, arbours, raised planters, and garden sheds, to list just a few. We are proud to be the first landscaping company in southern Alberta to bring the modern, industrial look of gabions to local landscapes. In simple terms, gabions are wire baskets filled with rock or other inorganic materials. 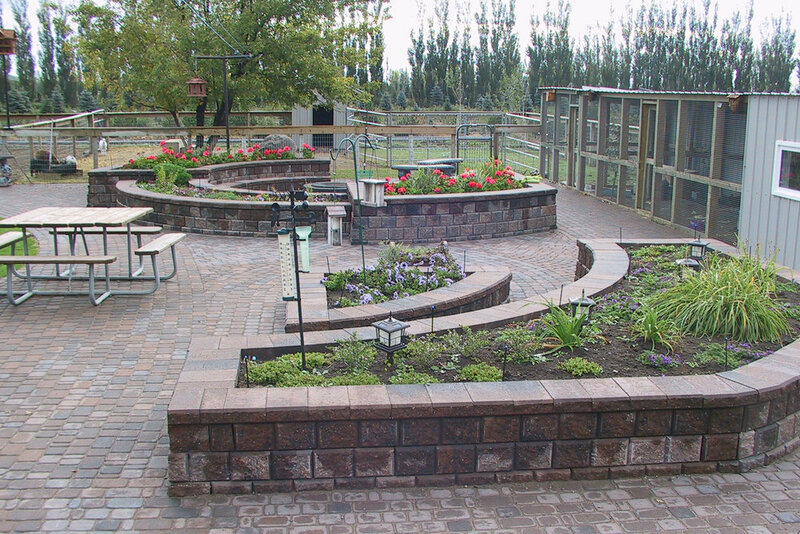 When placed together, they can form maintenance-free retaining walls or fences. Although the concept of gabions is quite ancient, they have been well-used in European landscapes over the past decade to help create contemporary-styled landscapes. 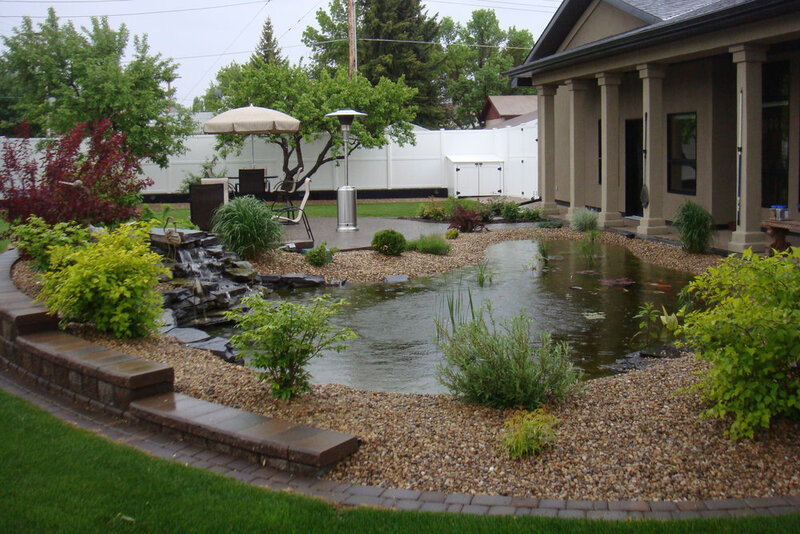 Our company is also very experienced when it comes to landscape irrigation and lighting. 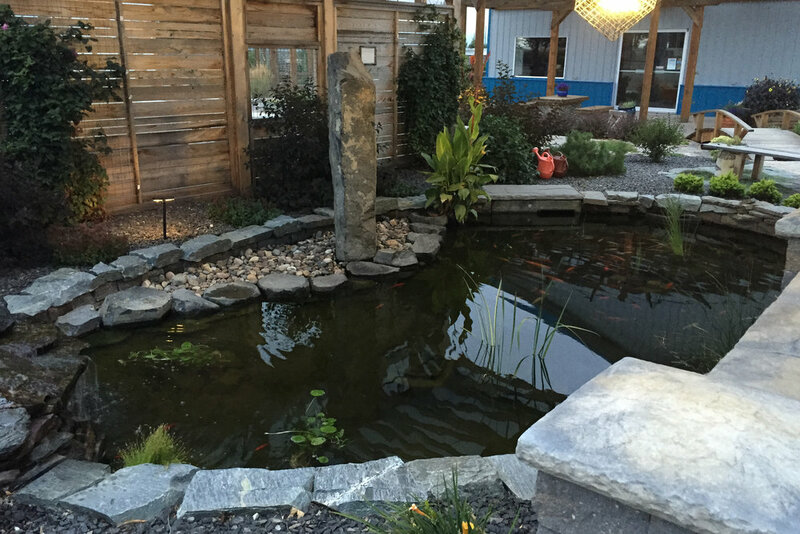 Since virtually every part of the landscape installation process is done by our own crews, quality will be reflected in every aspect of your garden and you will not have to worry about third-party contractors. 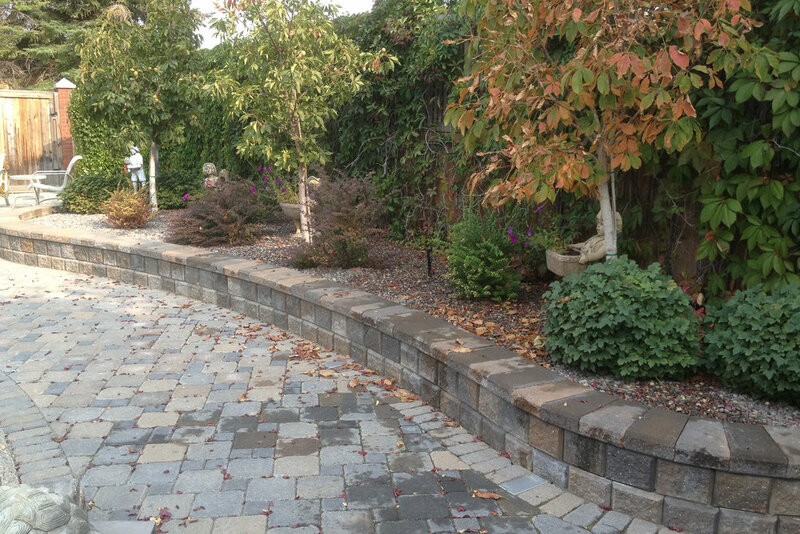 In short, if it belongs in the landscape, Hilgersom Paving Stone & Landscaping can create it, install it, or plant it!